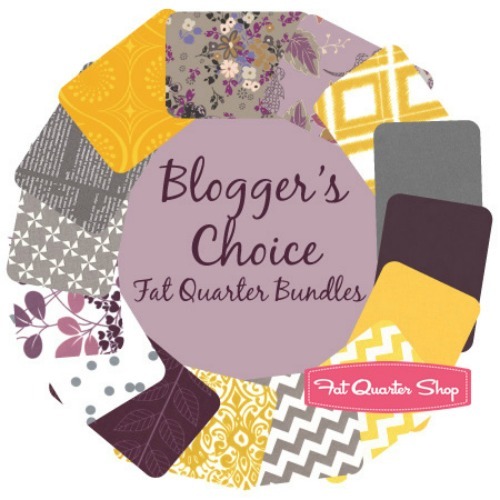 Miss Print: My FQS Blogger's Bundle + a Giveaway! I'm a follower. thanks for the opportunity! I would try orange, grey and purple. A bit like yours but I'd go for darker hues. 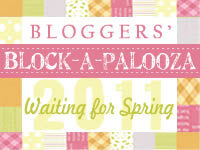 I love your blog and am happy to be a follower!!! I would choose grey, aqua and orange to start a bundle. oh your colors are beautiful! I would do a bundle of red/aqua/pink I think! Aqua, red, and grey... probably... :) Lovely bundle, Kaye! I would use chocolate (brown), teal, and tangerine. I was out hiking today and I saw a gray-green bush with these small coral red flowers. I thought that combination would be just perfect. Adding maybe yellow, would make the three colors. I just adore this bundle!! I am a follower. I would base a bundle off of salmon, teal and dark blue (pr maybe gray). I love the colors you chose! I have not gotten terribly adventurous with color yet... maybe this summer when I have a bit more time. Aqua,azul e menta.Obrigada.Sua escolha é estupenda,adorei. Such a beautiful bundle. I'm so bad at choosing colors, so I love these little bundles. 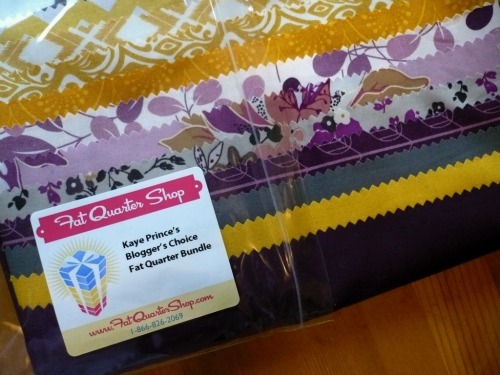 I've wanted to make a quilt from purples, so that, at least, would be in my bundle. Thanks for the chance! My 3 colors are Tangerine, Ocean, and Bleach White. Congratulations on your bundle. Thanks for the chance to win. Love your bundle, it's something I would choose. I would start with aqua, peach and yellow. If I were bulking a bundle, I'd start with a dusty rose, a grey and a creamy white. That said, I love the colours in your bundle. 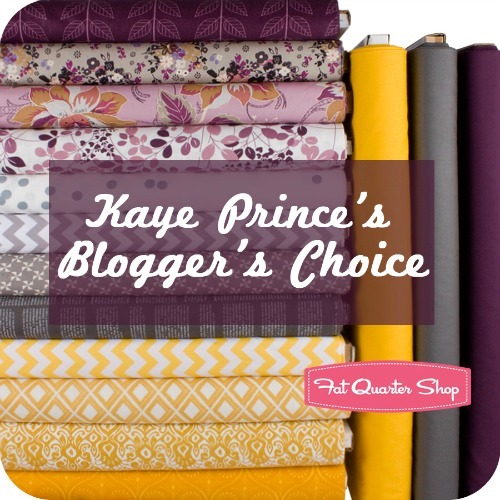 I would pick Kona Evening, Celery and Sunflower as the base for my bloggers choice bundle. Gorgeous! I would do coral, grey and yellow! I would love to see green, purple and yellow. If I got to pick 3 colors, I would pick yellow, aqua and red! I saw another blogger using those colors and I love it! I just love that combination! I'd make a bundle based off of magenta, lime green and mustardy yellow, thank you! Ok...I would do a lime green, magenta, and a lavender. I think that would be pretty. With some blacks and teals. I would choose a classic: yellow, blue, white. Love your bundle, thanks for the chance to win. bright pink, turquoise and navy blue! I would use teal, coral, and chartreuse. I'm digging that color combo right now. very pretty bundle! I'd pick dark teal, khaki neutrals, and . . . um, another color that I'm sure I'd fret and fuss over selecting. Thank you! I guess I'm just dumb, but I am not sure what I'm suppose to do about picking the colors. ? But I do love the colors you picked for this bundle and would love to win. Well - I think you did a great job in choosing. It's a little different in a good way! I think (to be different) I'd go for red, purple, and a light gray. I tried that in a bee & really struck out-no one had purple! I'm a follower! And it's not late in Hawaii, which I think explains why I am the unlucky first & maybe second comment! I might build around gray, a steely blue and an earthy yellow. orange lime green pink wow! I love the look of pink, yellow and green together at the moment! Thanks for the chance to win! At the moment, cerise, plum, turquoise. Love your blog and admire your work, so .... I'm a follower! Turquoise, lime and slate grey. Loving lime lately. I love your bundle! I'd live to make one with red, aqua and gray. Thanks for the chance to win! I would pick Lime, tomato, buttercup! I'm thinking about doing my next quilt in oranges, reds and pinks, possibly with some Oakshotts, but definitely solids, it'll be a bit of a departure from my normal style! Ooh yes...I LOVE your color choices! Purple is my favorite color. Oh what a gorgeous bundle! Love the colors! I would pick aqua, purple, and a soft gray. Thank you. I would build off of purple, green and yellow. The bundle you put together is awesome. I'd choose teal,orange and aubergine! I think I would go for grey, red, and turquoise/agua. Love that combo! Blues, Yellows and some Greens. Thanks for the chance. i never do anything with blue, so i think my pick for now would be white, light blue and navy :) thanks for the chance to win! The three colors I would choose are aqua, grey, and indigo. At least in looks good in my imagination! I'd probably choose aqua, yellow, and grey (at this moment). I'm into oranges and greys at the moment so I think I'd combine those. Thanks for the give away! I would base it on lime green, aqua and white. You bundle is gorgeous - thanks for the chance! I'm a Facebook follower! Congratulations on a beautiful bundle. Thanks for the chance! Such a pretty bundle, thank you for sharing. My bundle would have duck egg blue, ivory, and chocolate in it. Duck egg blue is my all time favourite colour as it is so pretty and calming too. Hmmm ...I just finished a black, white and red quilt and had such fun planning it, so those are my colors,I love your choices! Hmmm, tough question. I really like orange right now, maybe that with gray and teal. I love the colors in this bundle. i wish I'd thought of it! If I were making a bundle, I'd probably make 18 because I couldn't decide. But...I always love light pink, dark pink, and orange. I would go for apple green, black and white. I would do grey yellow and aqua :) But yours is very lovely! I would choose gray, orange and red. Love the bundle that you put together. I am a follower of your blog. Thaks for the chance to win. Lately, I'm experimenting with navy,orange,and gold. Thanks for the awesome giveaway!! I guess it would be pink, green and white! Need the brightness in those colors during the winter! I rarely enter giveaways but I can't resist this one; your bundle is da bomb! My three colors would blue royal blue, lime green, and deep purple. Right now I'm into aqua, gray, and yellow. I don't know if I could do it off of just 3!!! 4 definitely, a medium gray, mustard yellow, aqua blue and orange! But just 3 I'd say take the orange out! I love love love it bundle! Thanks for the chance to win! I'm making a quilt for my husband right now with turqoise, chartreuse and a charcoal color and I'm surprised how much I love it! It's a problem, because I would have chosen your three colors. So since that's not an option, I would pick a bright red, bright blue, and either a light purple or a light green. I'd have to play with it a bit! I am a follower (Google reader). Congratulations! Your bundle is gorgeous! I think I'd pick navy, grey and the new colour of the year-Emerald green! Thanks for the giveaway! I am a follower! Thanks. I absolutely love the bundle you put together! I would also have chosen the eggplant and gray (two of my favourite colours) and then I think a blue to go with. I think I'd do a black, red and white one! Made a quilt of those colors once and loved it! Love your bundle! I'd probably pick blue, green, and gray. I always gravitate to those colors. Thanks! I always love aqua, pinky coral, and white together...but this time of year, I'd be tempted to do something with plum. Mint, chocolate and... well, mint, dark chocolate and milk chocolate! My bundle would be yellow purple and white (or maybe orange!). I like bright colors. What a hard choice! I would probably pick gray, blue and yellow. I am loving that combo right now! Your bundle is sensational! The 3 colors I would choose are aqua, orange and white. 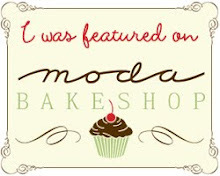 I am a happy regular follower of your blog. Happy holidays! I like the vintage 1940s green, red, and white. I think right now, I’d have to go with teal, tangerine, and a sandy brown, but I totally love your colors. I would choose gray, blue and organge. i follow your blog...not sure what colours i would use! I would love to do a primary bundle, red, blue and yellow! Maybe blue, orange and pink. I would definitely use grey with maybe orange and yellow! Your fabric bundle is beautiful!! I would choose grey, espresso and eggplant. I follow your blog. Love the purple and yellow. It's crocus-like. Thanks for the giveaway. Navy, Emerald and Yellow! They've always been 3 of my favorite colors. I think yellow, grey and and aqua! Thanks for the chance to win. Love your bundle, one of my favorites in a long time! I'm a happy follower! I too follow your blog. I would chose autumn colours, red, orange, yellow. I am also a follower using my favourites pin. I would probably choose purple, green and a hit of yellow. You did a wonderful job on selecting a bundle. I would be so indecisive that would become exasperated. FQS has so many choices. I would pick grey, aqua and orange to start a bundle.